For the first time in eight seasons, the Southern Oregon University women’s basketball team are Cascade Conference Champions. 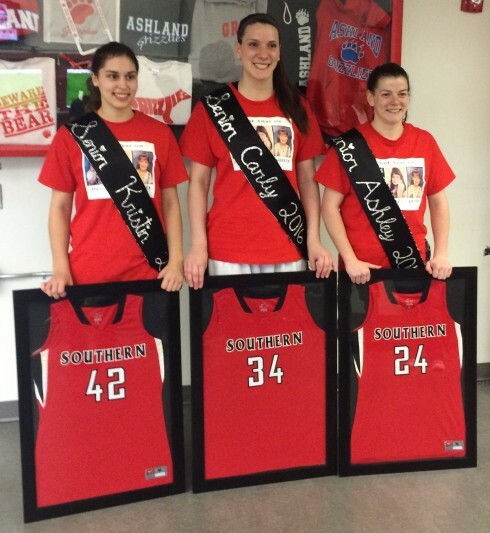 To secure the title, SOU defeated Eastern Oregon on Saturday, 83–63 and College of Idaho on Sunday, 92–48. With the two victories, the Lady Raiders move to 24–1 overall and 17–1 in conference, and clinch an automatic bid to the NAIA tournament in Sioux City, Iowa next month. Claussen and Carly Meister finally got their revenge. Meister dominated the post in the first half, shooting 5–6 for 12 points. SOU had seven steals in the half, yet only led 37–30 at the half due in part to seven turnovers of their own. Claussen and Meister put their stamp on the game in the second half. After shooting just 1–6 from the field in the first half, Claussen regained her form, shooting 6–9 to score 15 of her 21. Eastern kept within striking distance, but a sequence at the beginning of the fourth quarter essentially put the game out of reach. With a 62–56 lead, Autumn Durand knocked down a triple. Claussen then stole the ball and converted an and-one layup capped off with an energetic fist pump that got Mountain Avenue Gymnasium attendees on their feet. Meister shot 5–5 in the second half to finish with a game-high 22 points and 10 rebounds. Tiana Bradford had 15 points of her own and Durand chipped in with 10. The Raiders ran away with Sunday’s Senior Night matchup with College of Idaho, beginning the game on a 24–3 run to ultimately cruise to their first CCC title in 8 seasons. Five Raiders scored in double figures, led by seniors Claussen and Meister with 18 and 13 respectively. Fellow senior Kristin Smeaton also got the start, finishing with six points and three rebounds. Courtney Setzer and Majerle Reeves scored 14 and 11 off the bench. Following the C of I game, all three seniors, Meister, Claussen, and Smeaton were celebrated at center court, accompanied by family, friends, and a shower of gifts. Both Meister and Claussen acknowledged what senior night meant to them, saying it’s a good time to reflect on how far they’ve come since freshman year. With two games remaining, SOU has already clinched a number-one seed in the CCC tournament regardless of the outcome of their remaining games. They have already clinched an NAIA tournament berth as well, so their performance in the conference tourney will only determine their seeding for the national tournament in Sioux City next month.